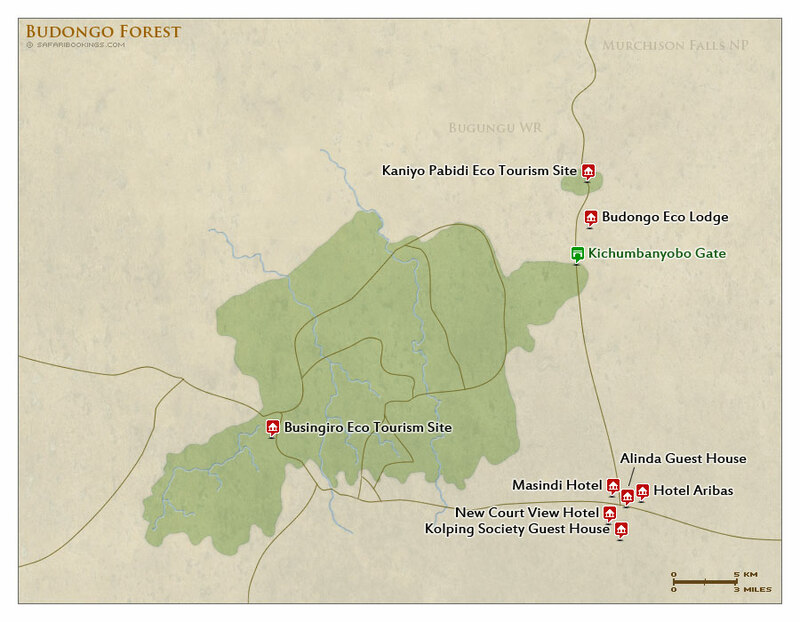 Budongo Forest – Travel Guide, Map & More! Budongo Forest is home to two ecotourism sites: Kaniyo Pabidi and Busingiro. 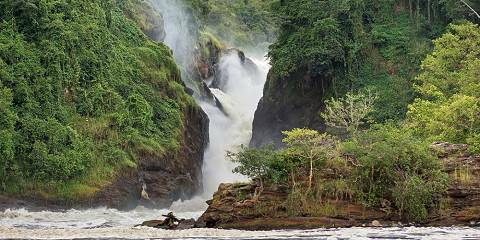 Kaniyo Pabidi is en route to Murchison Falls and offers excellent chimpanzee trekking. Busingiro is home to the Royal Mile, one of the top bird-watching tracks in the country. The forest is also a good place to see other primates including black-and-white colobus and red-tailed monkey. Birds and butterflies are abundant. Many primate species are easily encountered. Aside from chimpanzees, red-tailed monkey, blue monkey, black-and-white colobus and olive baboon can be seen. Nocturnal creatures include potto and several galago species. Also of interest are the high number of birds and butterflies recorded. Herds of buffalo and elephant also visit the park from neighboring savannah reserve, Murchison Falls. Although you might see their tracks, they are seldom encountered. 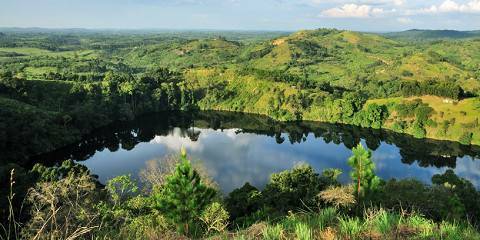 This pristine forest reserve has an amazing number (465 in total) of plant species recorded. Most notable are the impressive giant mahogany trees up to 60m high. Other beautiful trees to look out for are the spiky Fagara trees, parasitic strangler figs and iron wood trees. The latter is regularly used by chimpanzees for communication by drumming on their trunks. 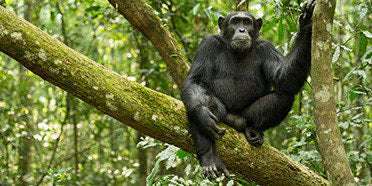 Throughout the year, maximum daytime temperatures in Budongo Forest hover around 31°C/88°F, thanks to its position near the equator. In the Wet season (March to October), the rain eases off a bit during June and July. 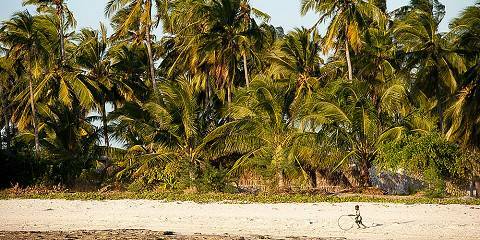 The precipitation practically disappears in the Dry season (November to February), providing a welcome break from the tropical humidity. The wildlife watching is good in Budongo year-round. However, it is at its best in the Dry season (November to February), and in the middle of the year when the Wet season rains temporarily lighten (June and July). The drier tracks at these times make chimpanzee trekking and birding that much easier. We did chimp trekking. We did not even see their tail. My guide/drive later told me that he took tourist for the last four times, but none of them saw chimps....ummm I wish he told us before we did!